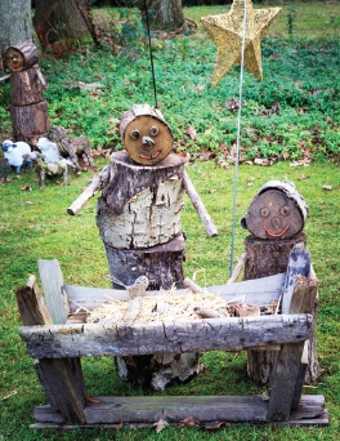 A CREATIVE Brookwood resident’s Christmas display puts a smile on the face of everyone who passes by her home in Sheet’s Heath. 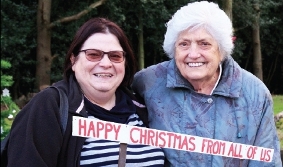 Sheila Barrows and her family have been devising displays on land they own near the village recreation ground for the past 10 years. The current festive one is a delight for children and adults to see, and each year it gets even bigger and better. In fact the whole family get stuck in. Born and bred in Brookwood, Sheila and her daughter Ruth, who lives in the house next door, maintain their creations for passers-by to enjoy. And Ruth’s brother Paul, who lives in Devon, makes a fortnightly pilgrimage to help her out. 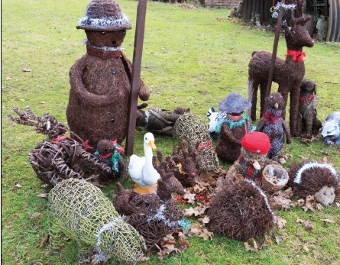 The idea for the displays came from seeing straw deer in a garden centre. The family cleared a piece of land for them and the creativity just escalated. 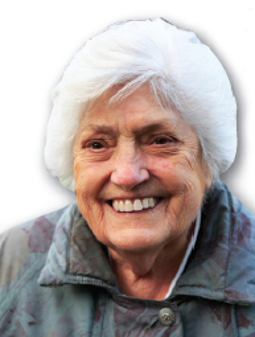 Although no livestock are involved, she and Ruth do see wild animals at night, such as deer. Sheila said the displays are not just for Christmas: “There’s always something for visitors to see all year round. Ruth, who works full time in the prison service, added: “We put the festive ones away but keep the animals and move them about.